Hi friends! 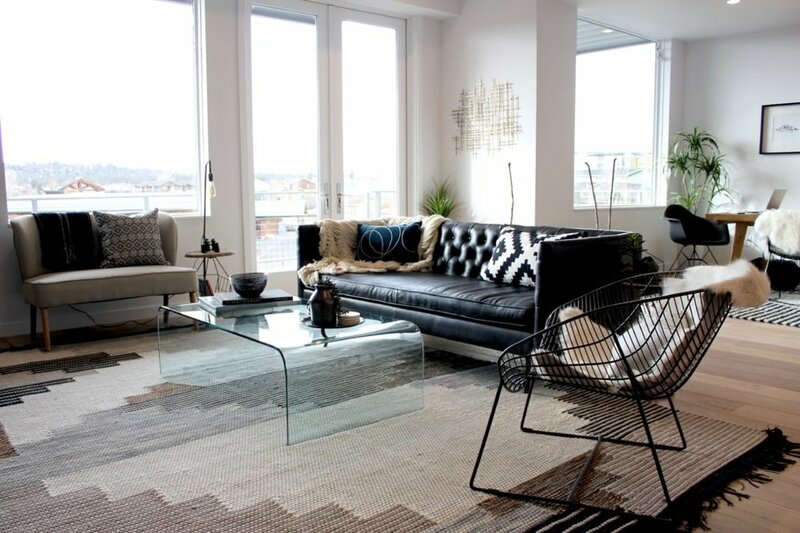 I just thought I'd give you a little photo tour of the condo that I staged recently. The building is brand new, and has 9 units for sale. It is called The Atrium. It was a last second job, and had a tight deadline, but I'm really happy with how it turned out. 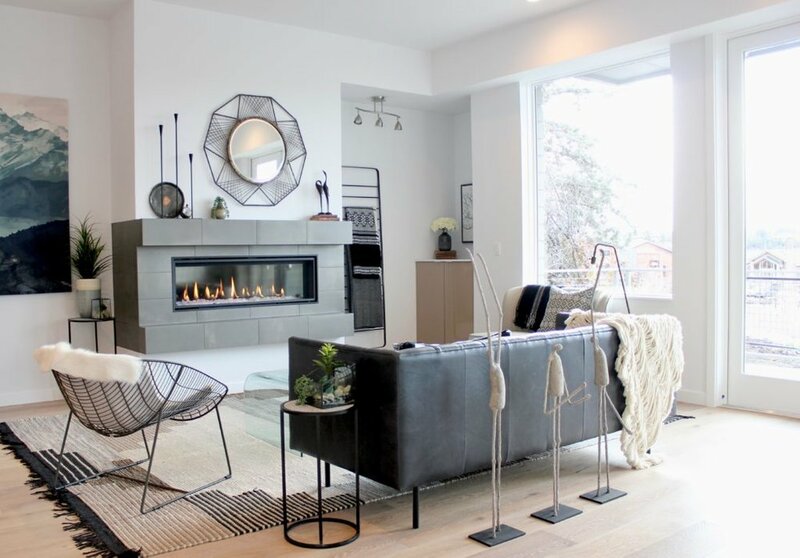 The space is very modern and the building sits perched on a hill with gorgeous mountain views in a desirable location in Bend Oregon, the Old Mill. So, without further ado... Welcome! Ok, well... Thanks for checking it out! I hope you've enjoyed this little tour.